Enjoy the earthy splendor of our grape vine design and celebrate the beauty of nature. Like a vineyard, our Glassware is a thing of beauty. 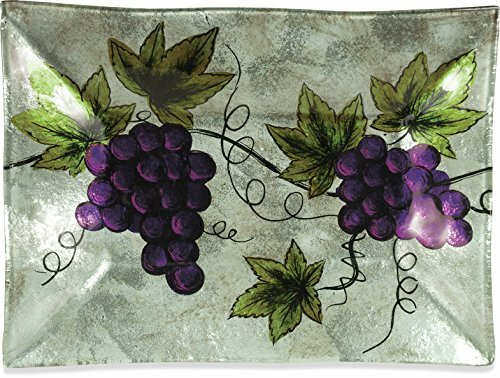 Featuring a grape motif that is hand-painted in rich jewel toned shades of purples and greens. This intoxicatingly beautiful plate is sure to add a touch of elegance to any home. 3dRose cp_80677_1 Beautiful Aerial View Of Connecticut River-Porcelain Plate, 8"